More Style, More Features, More Value. 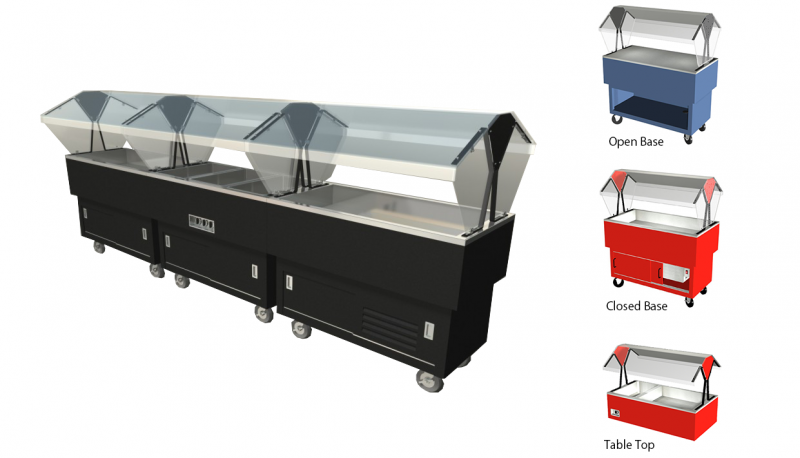 Duke offers top-quality foodservice equipment at an affordable price. EconoMate units can be mixed and matched to fit your design needs. They come in (12) twelve standard powder coat paint finishes and have heavy gauge stainless steel tops. There are (3) basic body styles: Portable Open Base, Portable Closed Base and Table Top. Each unit comes with a one-piece clear Plexiglass canopy.